The debut novella from one of contemporary fiction's most exciting young voices, now in a new edition. Salem, Massachusetts, 1851: McGlue is in the hold, still too drunk to be sure of name or situation or orientation--he may have killed a man. That man may have been his best friend. Intolerable memory accompanies sobriety. 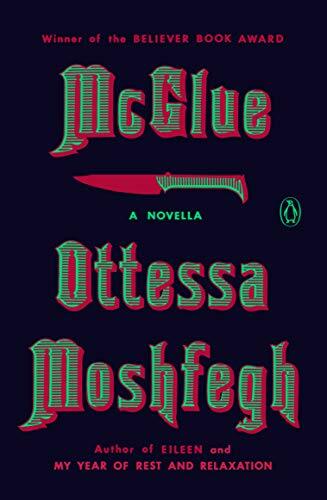 A-sail on the high seas of literary tradition, Ottessa Moshfegh gives us a nasty heartless blackguard on a knife-sharp voyage through the fogs of recollection. They said I've done something wrong? . . . And they've just left me down here to starve. They'll see this inanition and be so damned they'll fall to my feet and pass up hot cross buns slathered in fresh butter and beg I forgive them. All of them . . . : the entire world one by one. Like a good priest I'll pat their heads and nod. I'll dunk my skull into a barrel of gin.